Did you know that Active Air Rentals is now one of the largest suppliers of electrical services to the Event Industry? Over the past six years, we have invested over $3 Million dollars in electrical distribution boards, cables, and associated accessories. We employ some of the best event electricians in the industry and can legally sign off on our electrical installations, giving our event clients confidence in our ability. “No other company in the Australia can provide an event site with generators, complete electrical services, air conditioning and mobile cool rooms,” said Brad Sweeny, Director, Active Air. “This gives us the ability to provide a complete turn-key solution, allowing event organisers to deal with fewer subcontractors and enjoy considerable cost savings due to economies of scale” Brad continues. Some of our past projects include the Australian Open of Surfing, Sydney Festival, Apia International Tennis Event and the French Food Festival. Active Air electricians collaborate with the event organisers to determine what power is required to run the site; this involves looking at what equipment is needed, their associated loads, plug configurations, and startup currents. We will also look at what permanent power is available and what equipment will need to run 24/7. Based on these calculations, our electricians can determine what generators are required and where mains power can be used, especially to power equipment that needs to run 24/7, like cool rooms. Based on the floor plan and location of equipment, We will work out the most efficient, safe and cost-effective way to distribute the power across the site. The design will minimise cable lengths to reduce voltage drop, be discrete and ensure that all safety precautions are taken to ensure the design meets Australian Standards AS/NZS3000. Our electrical installation team will be onsite to position generators and run the power distribution equipment. The team will work closely with event organisers and other subcontractors onsite ensuring power is provided when and where it is needed and deal with any last minute issues that can arise. Active Air has an electrical contractor license and sign’s off on their electrical installations to Australian Standards AS/NZS3000. This sign off is to confirm that the electrical installation is safe and has been installed by a qualified electrician. Many venues and insurance companies now require this before an event can operate. All equipment supplied by Active Air will be electrically tested and tagged before it is delivered to the site. As we hold an electrical contractor license, we are also able to test and tag subcontractor equipment onsite, such as catering equipment; meaning event organisers can be confident that the entire event will run safely. Active Air can provide an electrician onsite during the event to monitor all electrical components associated with the project, giving event organisers peace of mind should something go wrong. 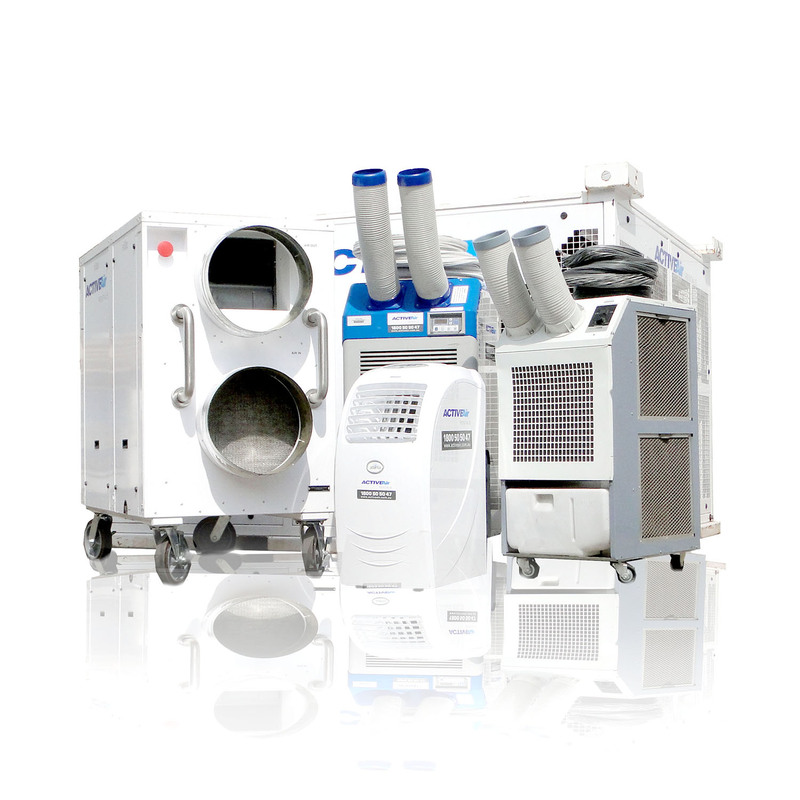 In addition to providing generators and complete electrical solutions for events, Active Air also specialises in temporary air conditioning, heating, onsite refrigeration solutions and diesel refueling.